Dedicated to my wife, who tends to go gaga when listening to handsome older men speaking Nordic languages. In my next life, I shall be a Nordic cat with green eyes and carrot-colored fur. And three tails. Just because. "Finnish: Not from the same language family as the other four Nordic languages. Absolute gibberish". Boy, I wonder who wrote that? Not a Finn, I am assuming. 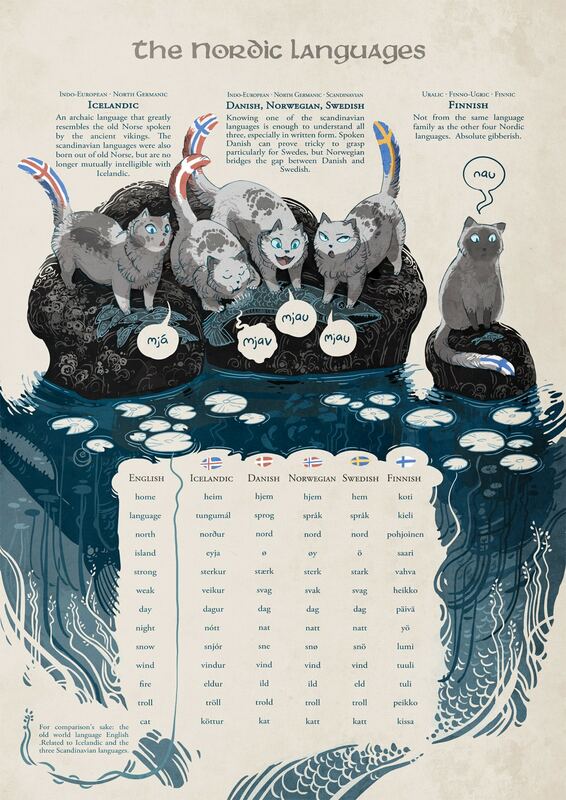 Interesting to know Norwegian is probably the best entry into the Nordic languages. Unless, a Norwegian made the chart, then maybe bias is in play. I can't really say! It's well-made enough that I supposed it was from a published body of work, but I can't find the source via Google reverse search. Perhaps its author really does have Norwegian leanings. Ha, I had no idea about this. Cute picture and really informative. I found the source material. It wasn't a book after all; it was a webcomic. Ooooooh. I thought English had more French roots than German. Huh. The art and the fonts on this is amazing! According to the literature I can find, English wasn't precisely derived from German. Instead, it was more like a sister or cousin to German and Dutch. Like three kids from the same family, except two of them got along really well and the third was just weird and kept talking funny. And yes, it seems English was heavily influenced by French and Latin. The diagram's author is distinctly Nordic, hence the theme of the comic. I don't know if there are other sites like it. 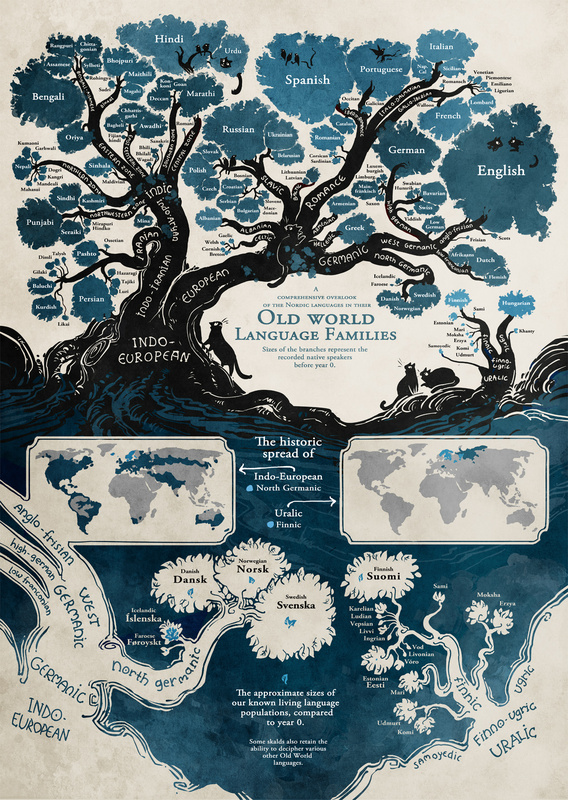 That's a beautiful-looking language tree.